Today I have the opportunity to be over on the Thermoweb blog sharing a quilt as you go fall pillow. It’s showcasing the owls from a previous wall hanging project. 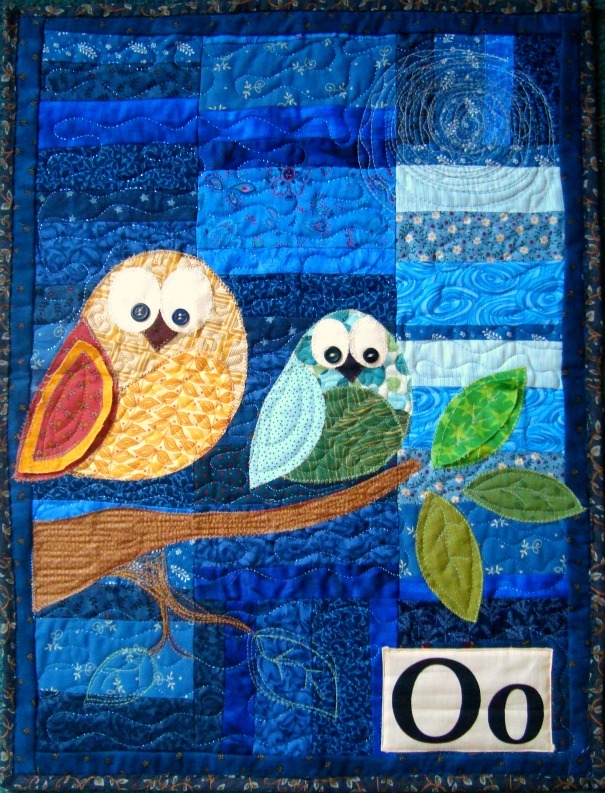 You’ll need fabric strips for the background– measuring around 22″ long and fabric scraps for the owls, leaves and branch. Want to make it or download the owl and branch applique templates? Owl Templates– Download Get the password for the library including this free pattern! Really cute! I love pillows for seasonal decor. 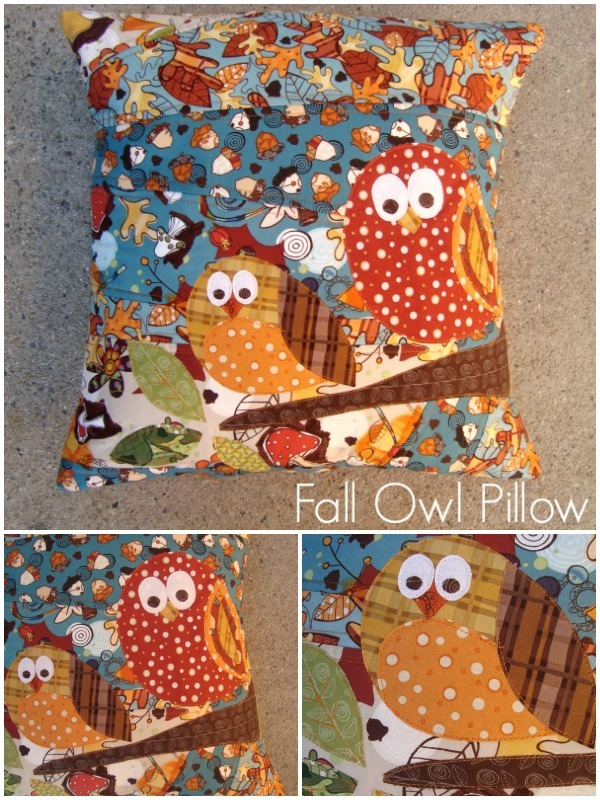 This Owl Pillow is adorable! I love it! Great job Becky! This is so cute! :] I love the blue one! Thank you for the cute owl patterns! I love the pillow and little quilt….